In times of competing for employees, higher income requests and tight budgets what do you have to offer that other companies don’t? How are you as an employer standing out among other employers in your market attracting and retaining employees? In this presentation we are going over the Total Compensation that you’re offering your employees and how to communicate all you’re offering. Everything from building career ladders, culture, PTO, onsite amenities, retirement investments, unique benefits, tax advantages and more that some employees completely forget to consider. Often times we underplay the investment employers are making to their employees. Total Compensation is the entire value employers are offering their employees. We will dive into what Total Compensation means for your organization and how to communicate effectively to your employees. The amount of investment and value employers contribute to employees needs to be apparent when attracting and retaining your desired workforce. 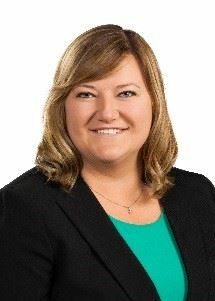 Alissa joined Hausmann-Johnson Insurance in 2017 as a Benefits Consultant. She has a family history of insurance, which inspired her to pursue the industry. Throughout her career, Alissa has had the opportunity to work in many different capacities within the insurance industry. She was an Outside Sales Executive with Humana, a Senior Sales Executive with Amertias, and an Account Manager with McInnes Group. In these roles Alissa recognized that it’s all about helping clients and ensuring they are getting the most out of their benefits. It’s her responsibility to ensure both the employer and their employees have the coverage they need to be healthy and fulfilled. She feels her new role at HJI is the culmination of her diverse insurance experience and she is eager to share her knowledge. Alissa holds BA in Reconciliation Studies from Bethel University. She has volunteered extensively with Kids Around the World through packaging food for children in third world countries and traveling to Haiti to build playgrounds for underprivileged children. Be sure to join SRKA as a member or renew your prior membership BEFORE you register. If you have been a member in the past and your membership has lapsed, you'll save $10 on this meeting by renewing your membership first and then registering for this event as a Member.